Tanks, vintage aircraft and modern fighter jets swooping through the streets of Washington would have come with a $92 million estimated price tag. How did Trump’s big idea turned into a big nothing? 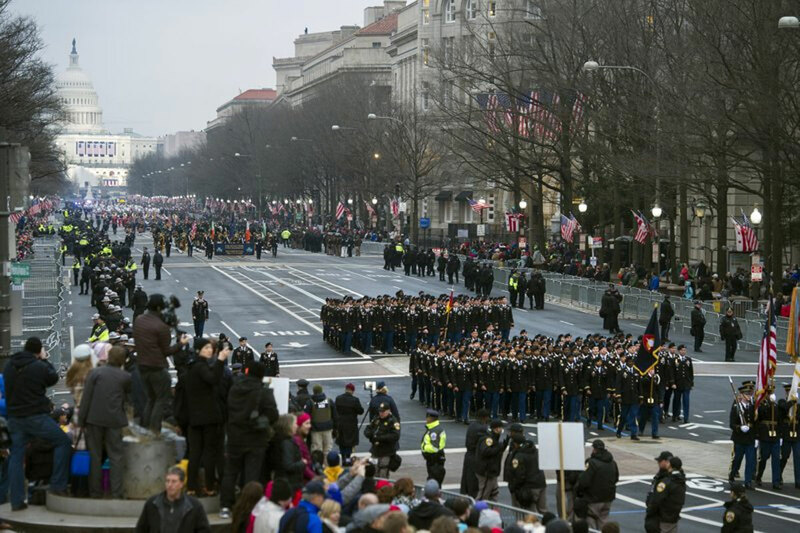 President Donald Trump’s lofty vision of big tanks, vintage aircraft and modern fighter jets swooping through the streets of Washington in a show of patriotic force crumbled Friday under the weight of logistics, including a $92 million estimated price tag. Will it be cheaper next year, as Trump contends? Were government budget crunchers “smoking something” like the Pentagon chief suggested? Are corrupt local officials to blame as Trump alleged? Compared to France’s parade, “we’re going to have to try and top it,” he said. “That’s just not our style … You know how powerful you are, you don’t have to pretend,” said retired Air Force Gen. Michael Hayden on CNN on Friday, reiterating a common complaint from ex-military officials since Trump first floated the idea. Also in February, Trump’s budget director Mick Mulvaney put the parade cost between $10 million and $30 million. Those were preliminary numbers, he cautioned, and would depend on how long the parade lasts. The date was another issue. According to a report in The Washington Post, the Pentagon wanted to hold such a parade on Veterans Day in November instead. That way it would coincide with the 100th anniversary of the victorious end of World War I instead of being tied to the more political celebration of the country’s Independence Day. By Thursday, it became clear that a $30 million parade by November wasn’t going to happen. U.S. officials told The Associated Press that the cost could reach $92 million, with roughly $50 million needed to cover military aircraft, equipment, personnel and other support. The remainder would cover costs by other government agencies and largely involve security costs. The officials spoke on condition of anonymity to discuss early planning estimates that haven’t been finalized or released publicly. “When asked to give us a price for holding a great celebratory military parade, they wanted a number so ridiculously high that I cancelled it,” the president tweeted. D.C. Mayor Muriel Bowser says that’s not true. The city estimated that the federal government would need to provide $21.6 million to cover the police presence that would be needed, as well as other fire and emergency medical services.